Trees have been planted in many sand dunes during the 19th and 18th centuries to prevent drifting sand in the landscape. These trees have thereafter spread to adjacent areas and created secondary woodlands. Besides planting the native pine, many areas have been planted with the non-native mountain pine. To clear these woodlands or create sunlit gaps is important when restoring the habitats for the former biodiversity in the costal sand dunes. At the project-site Gropahålet in the County of Skåne over 10 hectare mountain pine has been cleared and resultet in larger sunlit gaps in the wooded dunes. Stumps were pulled and digged down in the gaps together with the litter. The almost White sand that were put on the Surface in the gaps turned out to have a high lime content and now we are waiting for the xeric calcareous sand-flora to establish at the site. 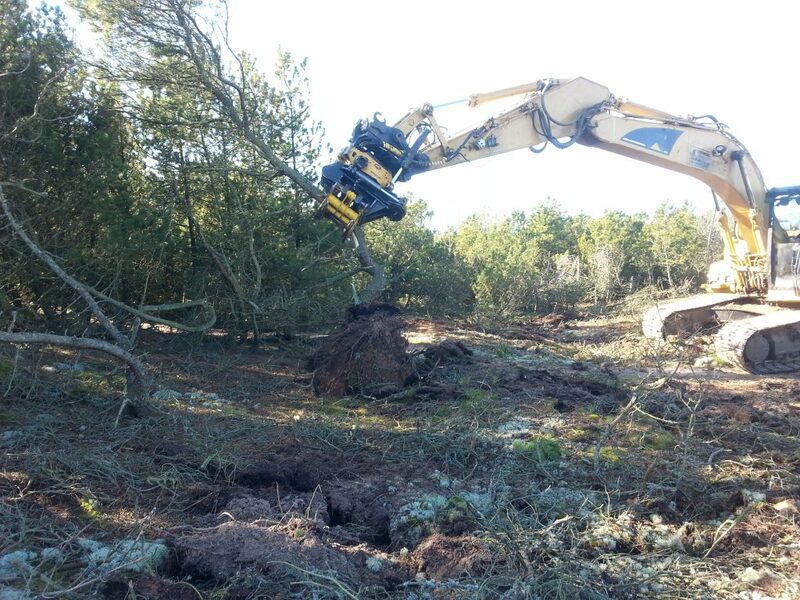 At Hagestad nature reserve in Sandhammaren (the County of Skåne) 20 hectare of pine were removed during the winter 2015/2016. 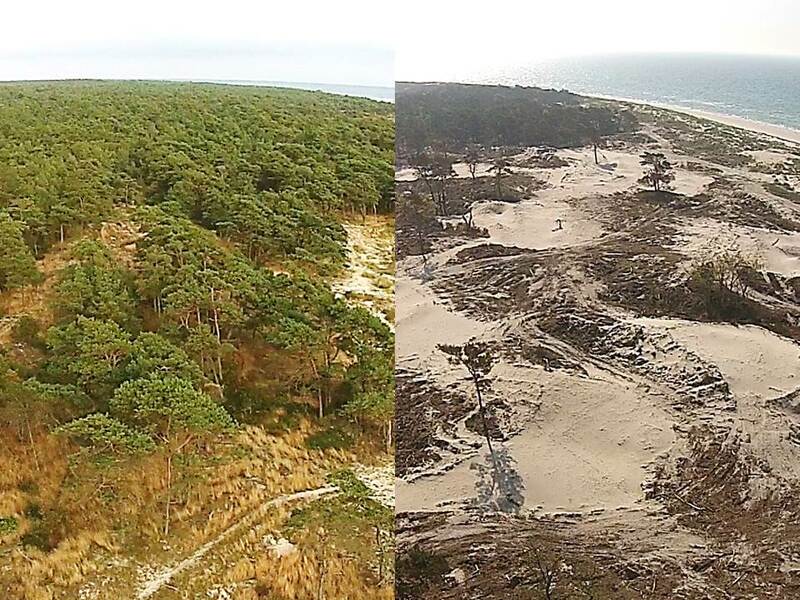 Here the clearings resulted in both a wider sandy grass heath along the coast and gaps in the remaining pineforest. Below you can see the site Before and after the clearings. 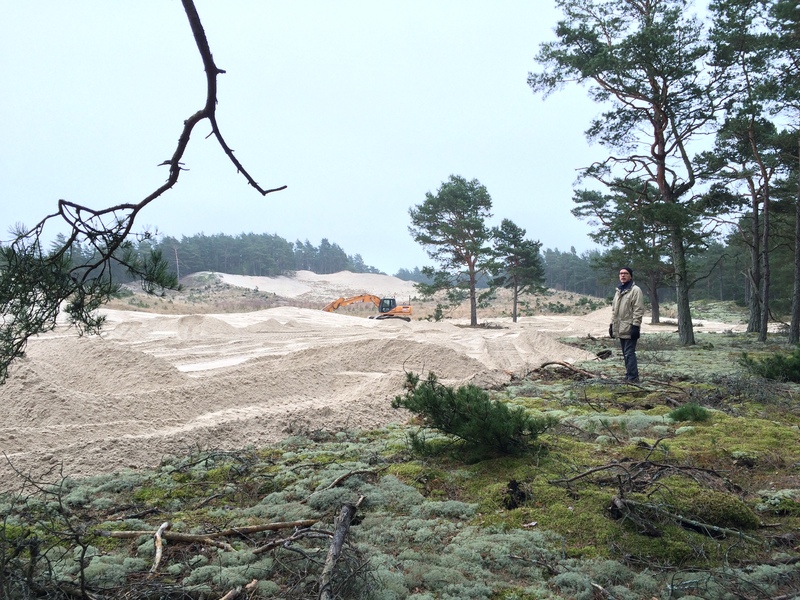 At Laholmsbuktens sanddynsreservat the clearing of mountain pine stared in 2013 and has continued until 2015. By now 34 hectare has been cleared and the loggings mainly chipped to biomass fuel. Below you can see the mountain pines beeing pulled up in the sand dunes at Hökafältet.